Our passports expired while we were abroad, which brought up the age old question (for those old enough to have had multiple passports): What should I do with my expired passport? It’s a hard to answer question. There is a lot of emotion tied into an expired passport. The scratches on the outside and the stickers and stamps on the inside - each one of them indicating a moment in your past. 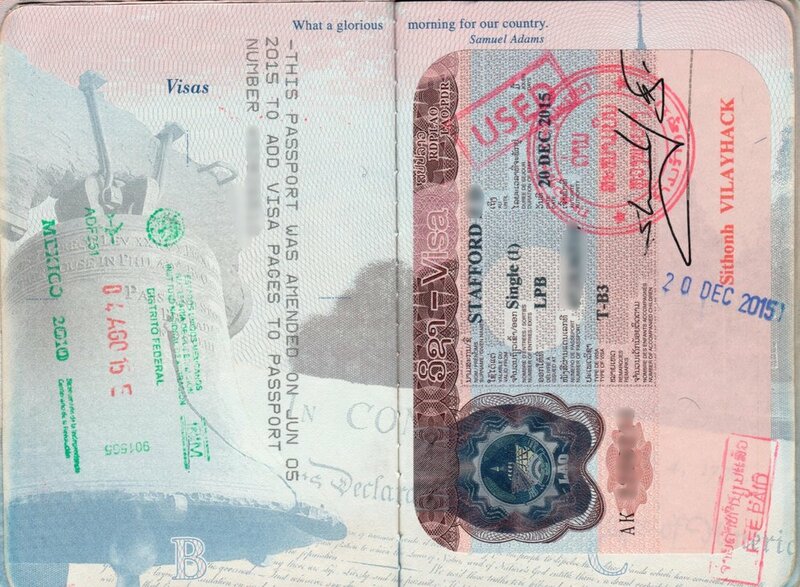 Passports generally expire every 10 years, so there can be a ton of memories wrapped up in there! Speaking of that scratch on the outside. I put that there myself so that when we were handed back both passports at the same time, I wouldn’t have to open them and search for one of our images. I can’t tell you how many times I just looked at our passports and knew whose was whose. Most people would probably keep their expired passports in a box somewhere, but we travel full time, which means we travel lightly. So this isn’t an option for me. Here is my solution. I scanned each page that had a stamp on it and put them all in this blog post! 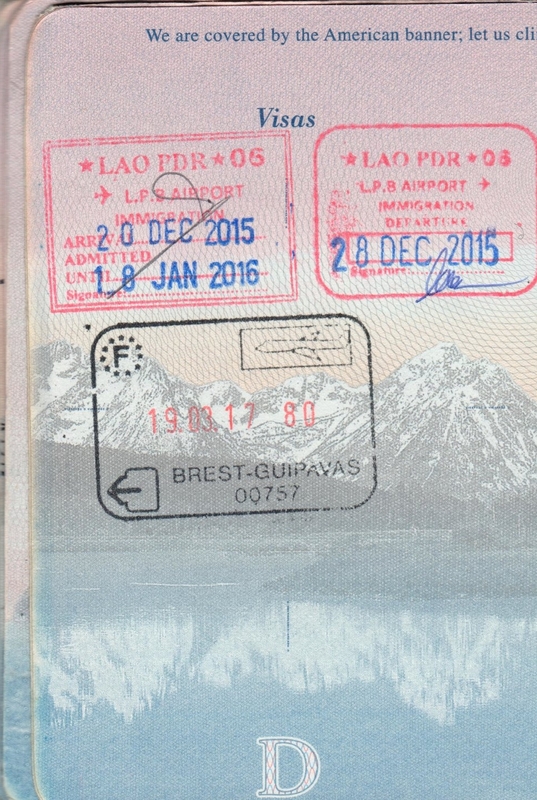 Join me on a trip down memory lane as I try to recount many of the passport stamps we’ve accrued since we got these passports in 2009, a full six years before we began to travel full time. One of my very favorite things about flipping through my expired passport pages are the odd instances where countries intersect. Take these two pages for example. On the left we have our Chinese visa and France (I’m guessing). There are more examples of this below. More passport stamp intersections. Copenhagen, Croatia, Philippines and I think Peru. Not all in the same year, of course. 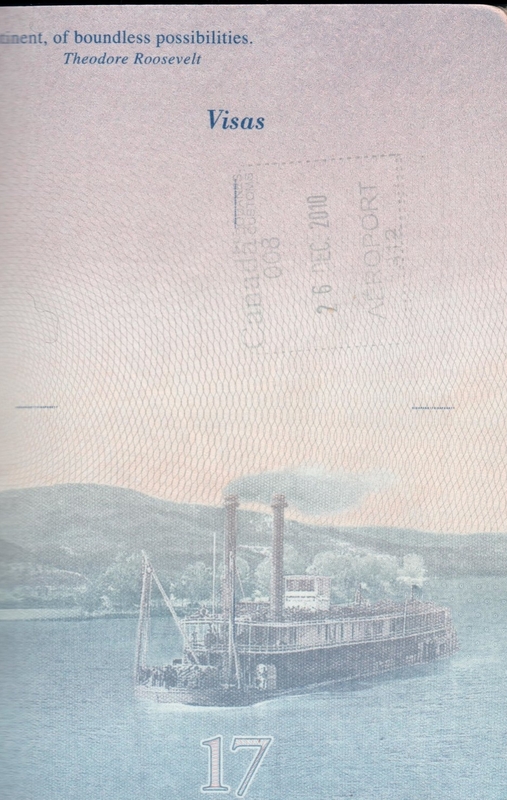 This is the beauty of an old passport! 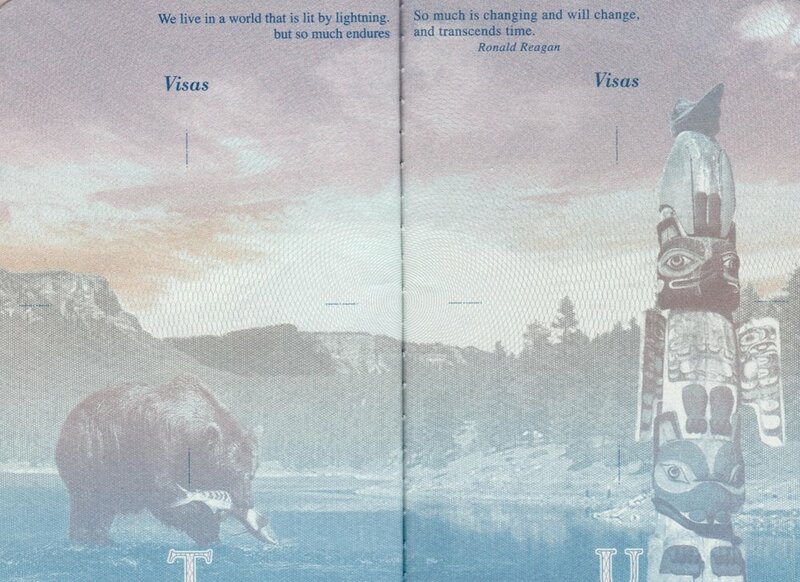 This might be my favorite passport page. It’s got multiple colors, shapes, checkmarks and my absolute favorite: stickers! Asia has some of the best visas in the world. They take up the whole page and they are a sticker! We are so fortunate to be able to have so many stamps in our passports. Seriously. Every now and then we will find ourselves on a trail or visiting a monument that has a commemorative stamp. If I’m feeling saucy I’ll break out my passport and give it a stamp. This is what you see in the image below on the right side - some lighthouse we hiked to in Japan. Before we left to travel full time in 2015, we had additional pages added to our passports, so they are extra thick and the pages are kinda mismatched. What they do is they take another blank passport and stitch it into your existing one. In hindsight this may not have been necessary (we still had a handful of pages that were empty. 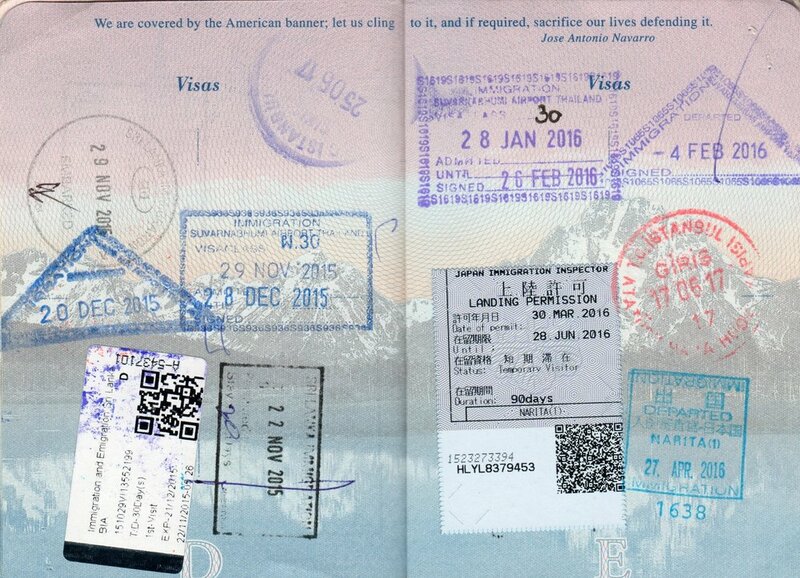 Is there anything more beautiful and inspiring than an empty passport page? 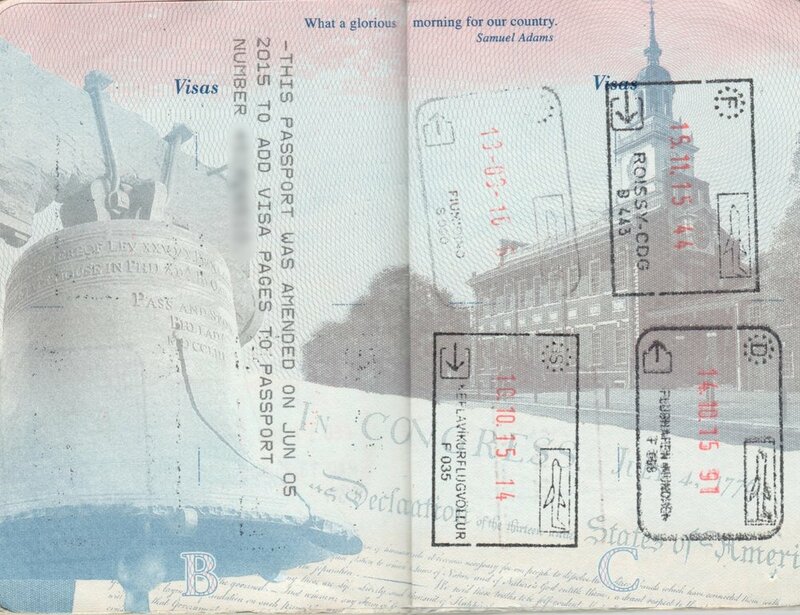 While the passport page filled with stamps fills me with this wistful memory and longing for the places we’ve been, the blank page speaks to hope and opportunity. it’s pure future and optimism. Our passports expired while we were abroad, which brought up the age old question (for those old enough to have had multiple passports): What should I do with my expired passport? It’s a hard to answer question. There is a lot of emotion tied into an expired passport. Here is my solution. When we set out to travel full time we knew we would have to change a few things. Insurance, cell phones, which credit cards to use, how to get our mail, and maybe most importantly, how to get paid. This post is meant highlight some of the ways we’ve navigated getting paid while traveling full time. Having a hard time deciding where to travel next? We are too. Even after traveling full time for three years, this is a difficult decision to make. It shouldn't be so hard, right? Well, it is. If you are wringing your hands over your next vacation, you aren't alone. There are a lot of factors that go into deciding where to travel. Before we go anywhere we weigh the place against a handful requirements. Here are some of ours. We recently were approached to do a house sit in Minneapolis. We were already booked so didn't consider it. But a closer look revealed several reasons we wouldn't have taken it even if we were available. We aren't saying that we have all the answers, or that we are great house sitters. There's always room for improvement after all. But since we've been house sitting for the last 9 months, and know a thing or two about it. Here is what we think makes a great house sitter! Older PostWhat is Full Time Travel?